Skylights can be a great idea! They bring in more natural light to your home, reducing the need for artificial light and therefore, reducing the lighting bill, but before you do anything, be sure you know your roof! Skylight installation will be different depending on the type of roof structure you have – RAFTERS OR TRUSS. Both RAFTERS and TRUSSES support your roof, and are triangle in shape, but there are differences. 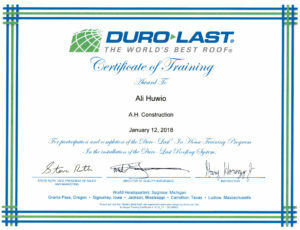 Make sure you hire the roofing professional that knows these differences and will apply the best installation technique to protect your investment, your ROOF and home. Roof RAFTERS consist of sloping outer beams which provide support. These contain 2 main outer beams which do the support work for the entire roof. So, if you decide to install a large skylight, usually the installer can cut one or more rafters to make it work with no difficulty. The rafters on the sides of the rough opening are usually doubled up and headers are added at the top and bottom of the opening. The overall roof support is not interfered with and all is well. The TRUSS is a different story. Trusses consist of more triangular webs inside the main frame. They provide more support than rafters and the entire weight of the roof is equally shared by the series of triangles inside this main frame. So, the idea of modifying them is a bad idea. In this case it is important that your installer uses skylight units made to fit BETWEEN the roof members or gather several smaller skylights together to create a larger window. Before seeking to install any skylights, AH Construction recommends that you know your roof, so you have the right questions to ask any roofing professional. Not all companies are equal, so be sure to hire the BEST one for your roof.